SleepSoftLLC.com. Home of Sleep Machine. The worlds best sleep and relaxation white noise sound pillow app available. Try Sleep Machine app Today ! Home of the elegantly powerful Sleep Machine app. 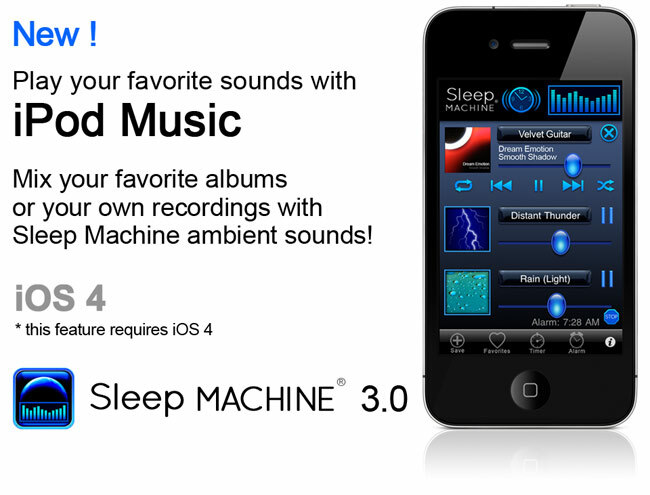 "Sleep Machine is simply the best customizable relaxation, sound atmosphere, and alarm clock application available for your iPhone or iPod Touch. " 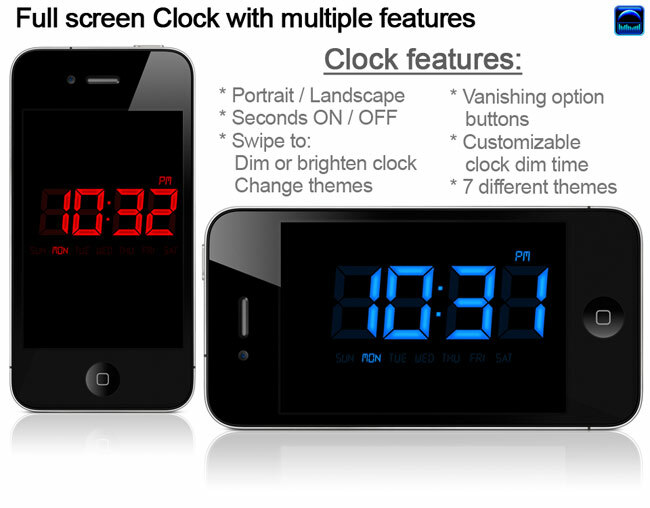 BestApps.com - " this app is a one-stop solution to all of your sleeping and rising needs. Our final score for Sleep Machine iPhone app is 10 out of 10. " ! AppBuddy.com - " I love this application ! ...... just love the fact that you can customize this to any way you want......it has everything you need. " beautiful background sound. Helium.com - " The graphics and sound of this app are excellent for the iPhone with a lot of variety and quality in the sound as well as a good quality in the look and feel of the app. AppNews.org - " This is the best way to ensure that you get a great night’s sleep. " About.com - " I ... like to show how versatile the iOS is thanks to the ingenuity of programmers. Sleep Machine is an example of that. " 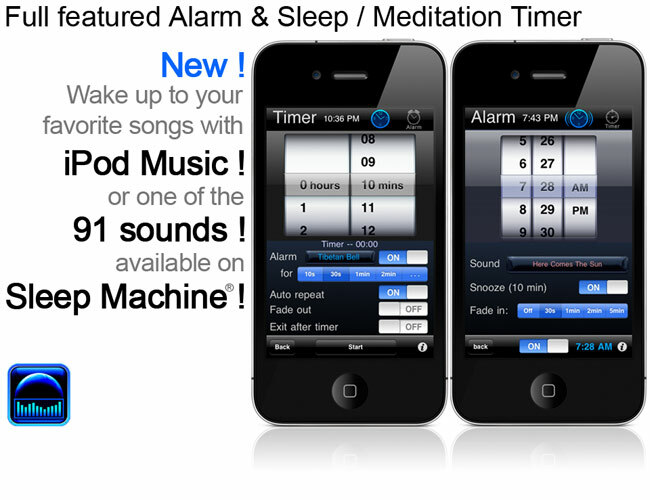 iPhoneAppsFinder.com - " Sleep Machine is a fun application that can replace your alarm clock and even help you relax, concentrate, and meditate. " MobilePress.co.uk - "Sleep Machine provides all of the capabilities of an expensive white noise machine in a well designed iPhone application." 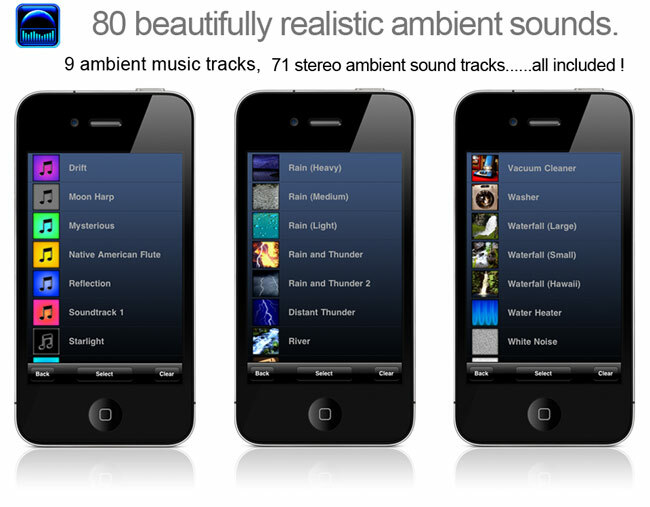 ArtOfTheiPhone.com - " Overall, I was very impressed with this app, especially because I could individually adjust the volume of each sound. I also found that it blocked outside noise better than most of the other apps."